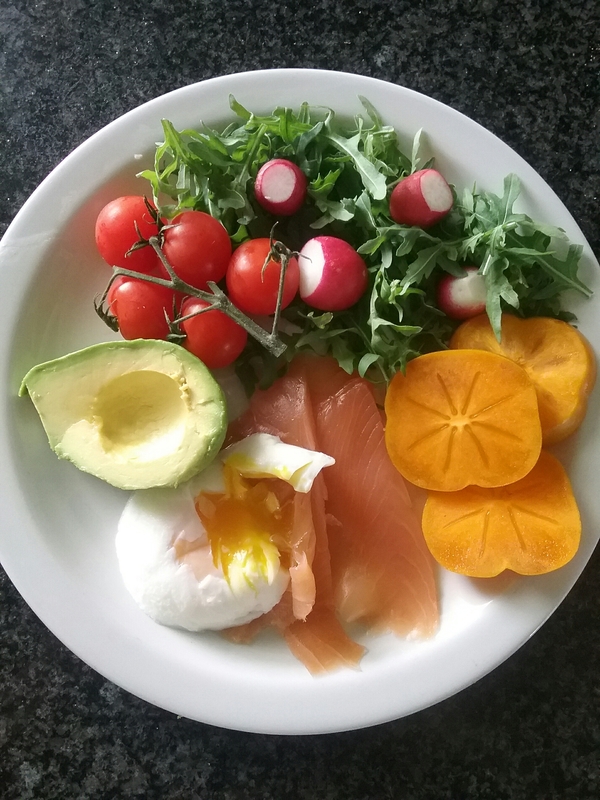 Mixed salad served with avocado, free range poached eggs and smoked salmon | Jo's food bites. Salad of rocket, radish, tomatoes and sharon fruit. I love mixed plates like that. Simple and healthy!